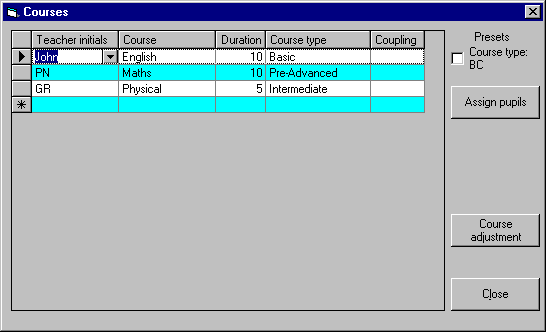 This is window for the List of courses taught by each teacher . For a description of the buttons please scroll down.. This is the window fo List of courses taught by differnt teachers. : It will do the adjustment of course duration of teachers.